Hi guys. Andrew here, I just want to really quickly share with you something that I read this weekend. It’s a quote by Jim Rohn that really struck me, and I wanted to share it with you, because I think it’s very true. At least, it’s been true in my own life and maybe helps gives you something to think about. The quote is “You are the average of the five people you spend the most time with.” Think about that. “You are the average of the five people you spend the most time with.” Think about how that might apply to your life. If I think back about, when I was younger if I think back about fifteen years ago and the type of people that I hung out with, and who I was as a person. Think about who I am now and the sort of people that I associate with, it’s very different. The people that I hang out with now, the people that are close to me, my friends, my business partners, all of those people, they’re very different when they were fifteen seventeen years ago. I’m a very different person as well. I think the quote, at least for me, it holds true. If I think about when I had the biggest breakthroughs from a business perspective, when I’ve had the biggest business breakthroughs, when I’ve achieved new goals, new territory, new levels of success in my own life, it was absolutely related to who I’d met, who I’d started associating with, what areas I pushed myself in life. I’ll give you a couple examples, and I think they’ll apply to you as well, can help you in your own business, and you grow as a person too. A couple examples is when I got involved in my local entrepreneurs group down here in Florida, that was a big stepping stone for me, and that really changed my perspective on how I run my business, and really taught me a lot on how to run a business. I think before that point, I wasn’t really associating with other entrepreneurs, other business owners, other people who had similar experiences and problems that I was going through in my own business. It really gave me an excellent venue to learn, become friends with other entrepreneurs, and relate to a different type of people, and really learn from them and grow from them. Maybe there are some entrepreneur’s organizations that you can get involved in. The other thing that I’ve done in my life is that I’ve gotten involved in what I call master minds. I’m in a number of very high level internet marketing master minds with some of the best marketers on the planet. Without a doubt, I speak to them every single week, every single week we have a meeting with my group. I go visit them wherever they’re at, Australia, where ever they’re at in the world, London, San Francisco. We meet regularly, we talk ideas, back and forth, and it keeps me sharp, it keeps me at the top of my game, it keeps my company performing above and at a level so far ahead of anybody else doing what we do in our market, and it’s directly a result of associating with people who are at the top of their game. Think about that. For our industry there is tons of peer groups, there is other companies that aren’t your competitors that you can link up with, and meet with on a regular basis, bump ideas of off, talk to them about your problems that you’re having in your business, it could be scaling problems, it could be marketing problems, it could be any number of things, but it’s fantastic to have a group of your peers that are experiencing similar problems to what you’re going through that we could talk to. Our spouses, they don’t understand what it’s like to run a business and to have employees often times. We are supporting our employees’ families. That’s a big responsibility. There’s a lot of things that we go through as entrepreneurs in running businesses, that our friends who work nine to five’s, they can’t relate to that. Many years ago, ten years ago, I was in that very position. I didn’t have a whole lot of friends who had their own businesses, or that were very ambitious like I was, and knew what the hell I was talking about, when I’m saying, I just hired a new employee, I don’t think they’re working out. Any of the things that you go through as a business owner, it’s so powerful to have people that you can talk to about that. Find some friends who are business owners, who can relate to your experiences, some people that you can spend some time with once a month, maybe find a local entrepreneurs group. There’s lots of entering organizations that you can get involved with, meet other people doing what you do, that don’t compete with you, and bounce ideas off to them, talk to them about your problems, become friends with them. Then maybe join a BNI at the very release, join a mastermind, join a peer group, there’s a lot of opportunities to meet people who are doing and performing at a level that you want to be at. I want to just leave you with one final note, and that is something that, I have really made a point to do, and that is, I always want to be the dumbest person in the room. I want to be the dumbest person in the room. I want to surround myself with people who are smarter than me, people who are more successful than me, people that I can learn from and I really make a point to do that. I challenge you guys to do the same thing, because I’m sharing this with you, because it has had such a huge impact on my life, I think it can change yours as well. Reach out to some other business owners, reach out to your local organizations, find out what’s in your area that you can become a part of and really push yourself to increase your success to make your business more profitable, to really be aggressive and reach those goals that you want to reach, and this is a great way to do that. Good luck to you, I just want to give you a little bit of encouragement, this is something that’s helped me, I hope it can help you to. I’m sure it can. Good luck to you, I will speak to you next week. Bye. 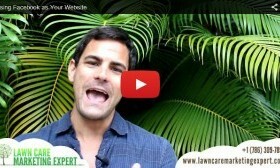 ‹ What is the Average Cost Per Lead on PPC For Pest Control & Lawn Care Companies?